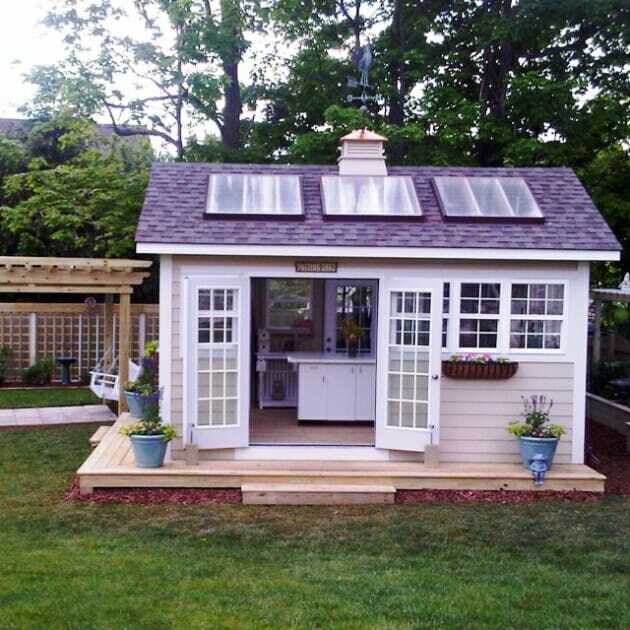 Outdoor Home: Why Not Build a Solar-Powered Shed? A shed is the ideal outdoor storage solution. 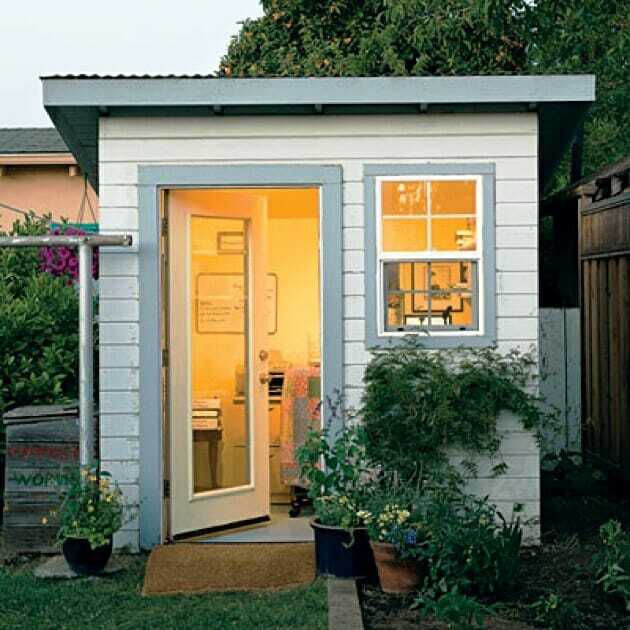 A well-designed garden shed can hold more than just lawnmowers and birdseed. It can serve as a greenhouse, an art room, or a relaxation spot, and it’s also a great place to work on projects that would otherwise clutter your garage. If you are good with your hands or have excellent carpentry skills, you can make one in your backyard and enhance your home’s storage. You can even customize it to become a gorgeous focal point in your garden or yard. 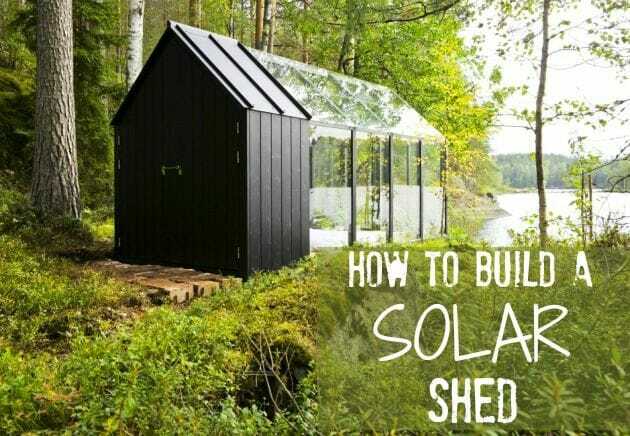 Here’s how you can build a solar-powered shed that suits your needs. If you need help from a professional, Modernize can help. Before you go out and buy a solar panel, you need to know if your backyard gets enough sunlight. A solar pathfinder can help you to determine whether the shed roof will get sufficient sunlight throughout the day. Keep in mind that if the panel doesn’t get enough sunlight, you will not be able to operate regular workshop tools. A solar panel that gets about 6-7 hours of sunlight can power basic workshop tools. Connect with trusted solar contractors with Modernize. Buy the right solar garden shed kit to suit the location and direction of sunlight. The solar panels you get for your shed must be photovoltaic. The starting range of solar panels is around 10w, so choose one based on your needs. If you have an old, dilapidated solar shed, demolish it and clear the vegetation around it before you start building a new one. However, do not destroy the concrete foundation, as you will use it to build the new shed. Before you mount the solar panel, you must wire it first. Every solar charging kit comes with a wiring diagram, and this is what you must use when wiring your solar panel. Connect the panel’s wiring to the junction box. Incorporate a water-resistant connector to the junction box’s incoming end to shield it from moisture. Connect the wires as per the instructions and tighten them with a screwdriver. Generally, the black wire should be attached to the negative terminal while the red one should be attached to the positive terminal. Before you affix the panel to your shed’s roof, you must mount it first. To mount the panel, use two steel pipes or roof mounts which come with the solar kit. Attach the roof mounts or pipes to the pre-drilled holes on the solar panel. After attaching all the mounting hardware, place the solar panel on the roof. Drill holes on the roof where you’ll attach the panel’s “legs.” Fasten the panel to the roof using the available hardware. Direct the solar panel’s wire across the roof and place it beneath the overhang. Drill a hole through the wall just underneath the overhang. Pull the wire into the interior and secure it with staples. Seal the wire hole with silicone caulk. Affix the electrical utility box to the inner wall. The box holds the charge controller that controls the power between the solar panel, the battery, and the load. Place the battery and the cable from the solar panel inside the utility box. You can use a waterproof electric connector to protect the box from moisture. The solar inverter is responsible for charging the battery during the day and must be connected to it. You should use heavy duty no.1 cable to connect your battery to your inverter. Scrutinize the inverter and pair the terminals on it to the battery. Be sure to connect the negative and positive terminals properly. After you’re done, turn on the inverter’s switch to see whether the battery is wired correctly. The inverter’s light should turn on if the wiring is correct. Afterwards, link the inverter to the junction box. Lead two heavy-duty wires from the junction box to the inverter. Just as you did with the battery, pair the terminals. After the wiring is done, you can add lighting fixtures. You can power objects like lights, power tools, and even fans. Use the wiring diagram that came with your kit to direct the wire to your fixtures. Make sure that the connections are strong and waterproof. A medium-sized solar panel and inverter can be able to take on an additional 100 watts of load. Find reliable solar installation contractors in your area. Whether you like it or not, the shed you build will be a focal point. Therefore, it should not only have a striking design, it should also be practical. It should either stand out from its surroundings or blend in beautifully. You can mimic your home by creating a smaller version, or create a stand-alone creation. Either way, by choosing paint colors, siding, and decor details your solar shed can become an ideal place to enjoy nature!